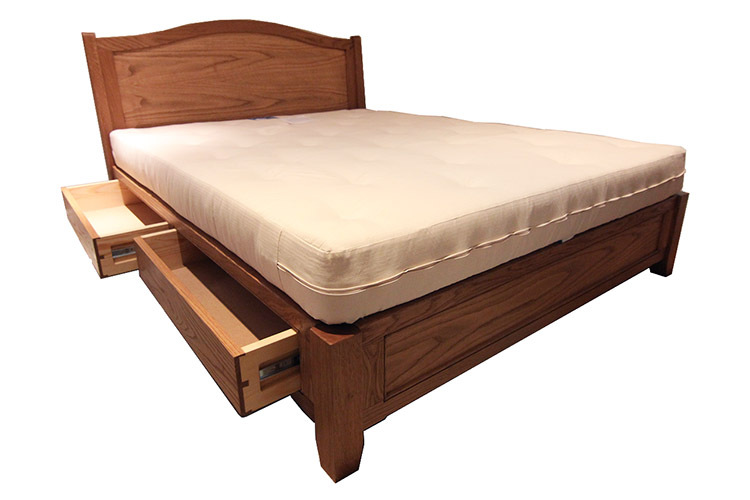 This oak bed was made with four drawers. These were fitted with push to open catches. The headboard was made from a book matched piece of oak.